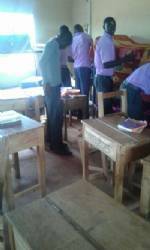 Boys in Mitamysi colonise classrooms! 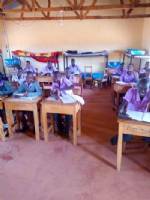 Last year TAS funded a dormitory for the girls at Mitamysi and now the boys are claiming classrooms as their dormitories. They have moved in bunk beds, mattresses and trunks which are all packed up in time for school in the morning. The need for a new building to accommodate the boy boarders is clear. There is evidence that they may be getting discouraged and drifting away from school to Mwingi town for work. This is a worrying trend which we wish to reverse by raising money to build them a dormitory.